It’s been quite some time since I’ve been into a Crabtree & Evelyn store – they’re few and far between here in Toronto, but they’ve now gone all kinds of interwebs and I can get stuff online. 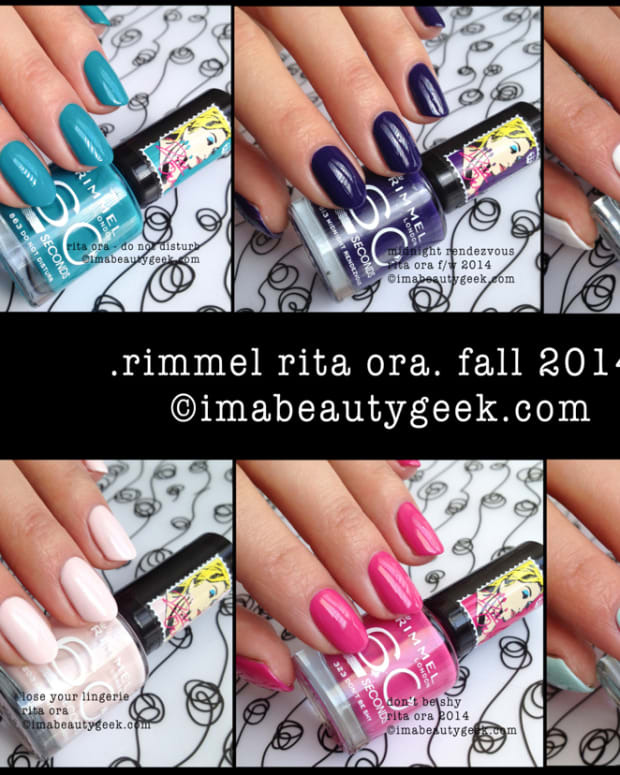 Stuff like Crabtree & Evelyn polish! 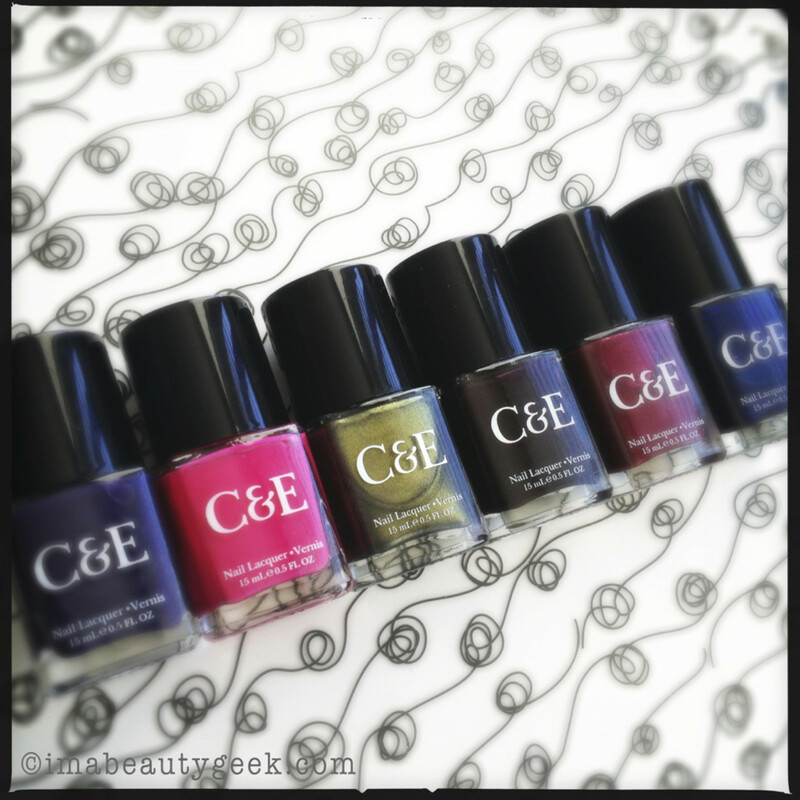 Crabtree & Evelyn Nail Lacquer actually launched just over a year ago, but the brand didn&apos;t really make a big deal of it. Maybe it shoulda. For a first foray into nail products, it&apos;s done a good job. Try the no-stinky Crabtree & Evelyn nail polish remover wipes -- great for discreet public polish removal. Let’s start with a tiny part of their core collection, all unfussily named after fruit ’n veg. This is the kind of simplicity that makes Crabtree & Evelyn a brand I adore. 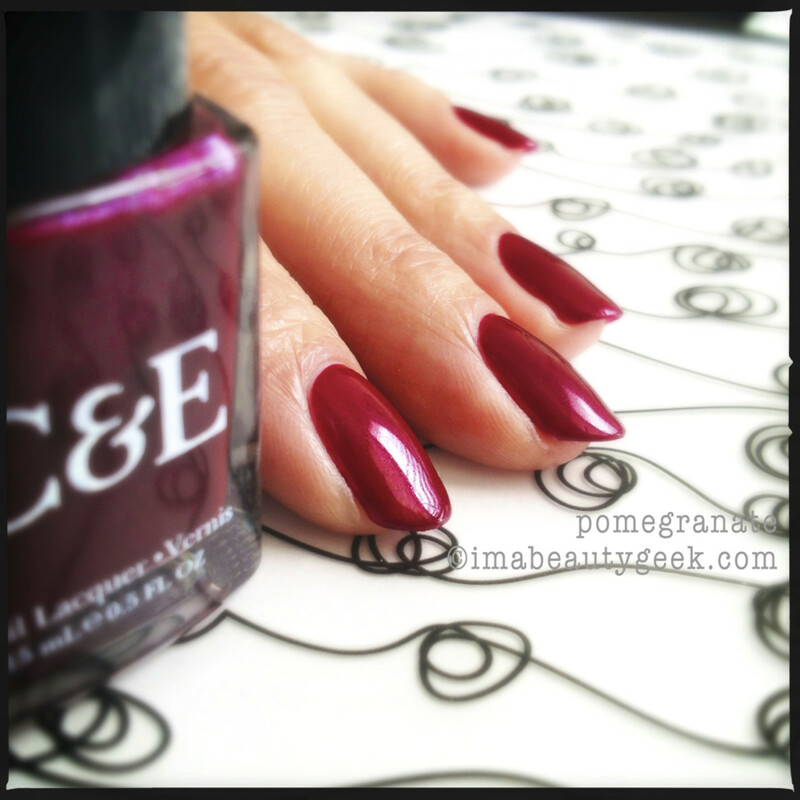 Crabtree & Evelyn polish Pomegranate Great name, no? It’s a lovely, shimmery shade of um, pomegranate. 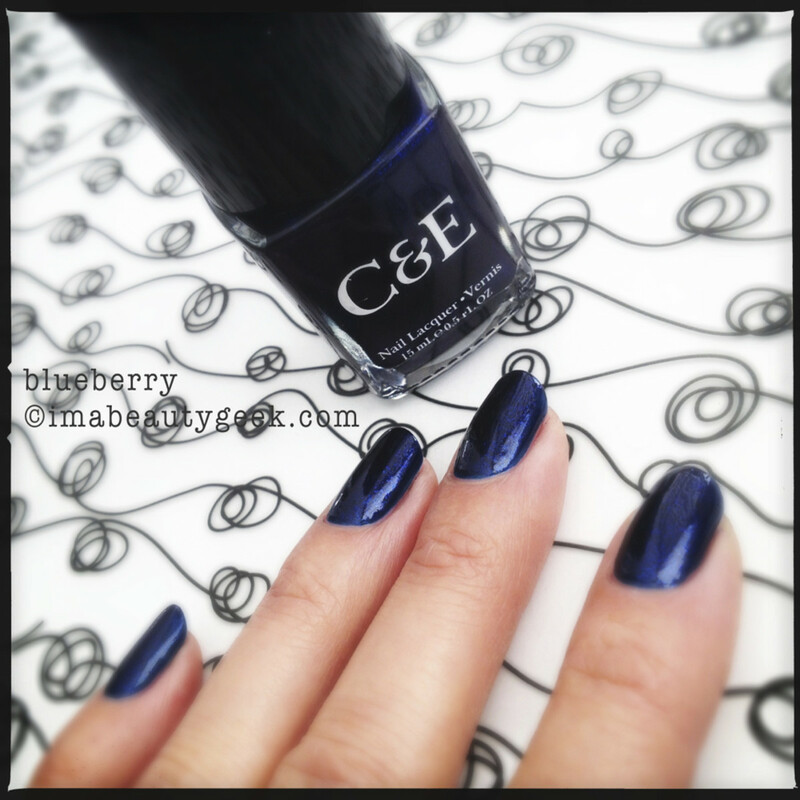 Crabtree & Evelyn polish Blueberry That’s 3 thin coats of shimmery navy blueberry. 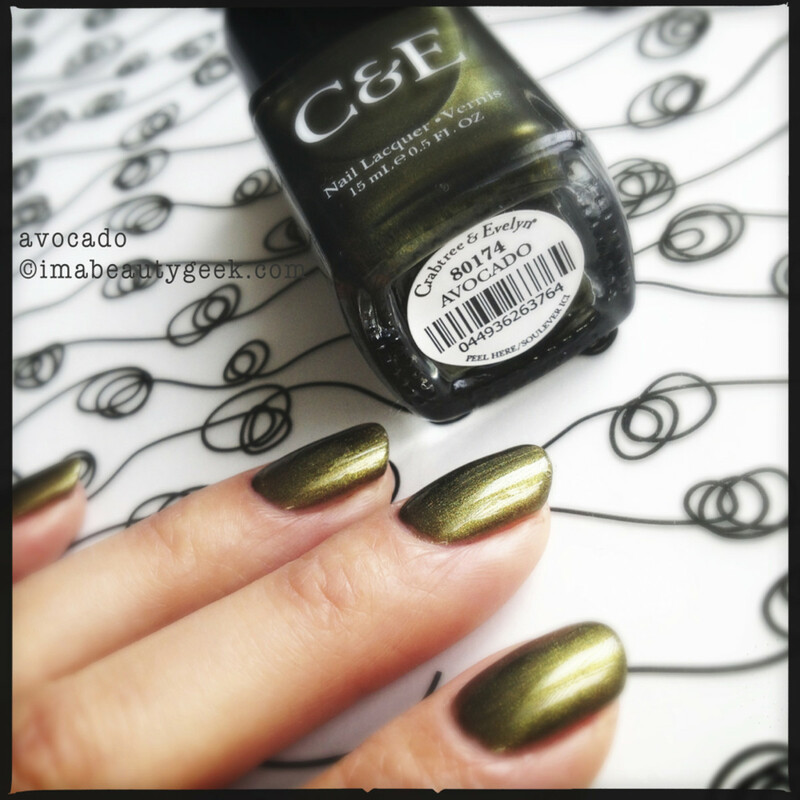 Crabtree & Evelyn polish Avocado The consistency of this polish is thin so you’re going to need three coats to get the opacity I’ve shown you here. I love this shade of green. 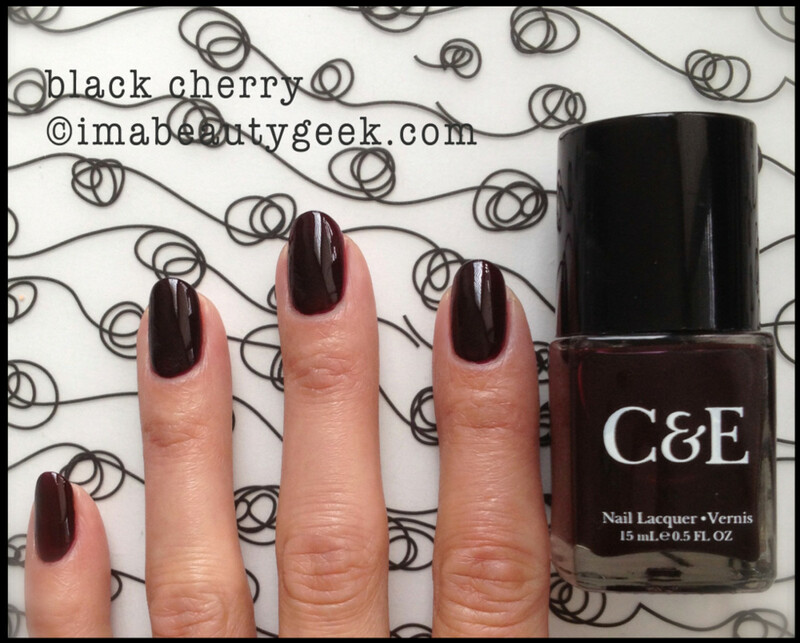 Crabtree & Evelyn polish Black Cherry Again, you’ll need 3 coats to get to what I’ve got there. After the first coat, subsequent coats can pull up the bottom layer so you’ll need to be quick and careful. Not my favourite. 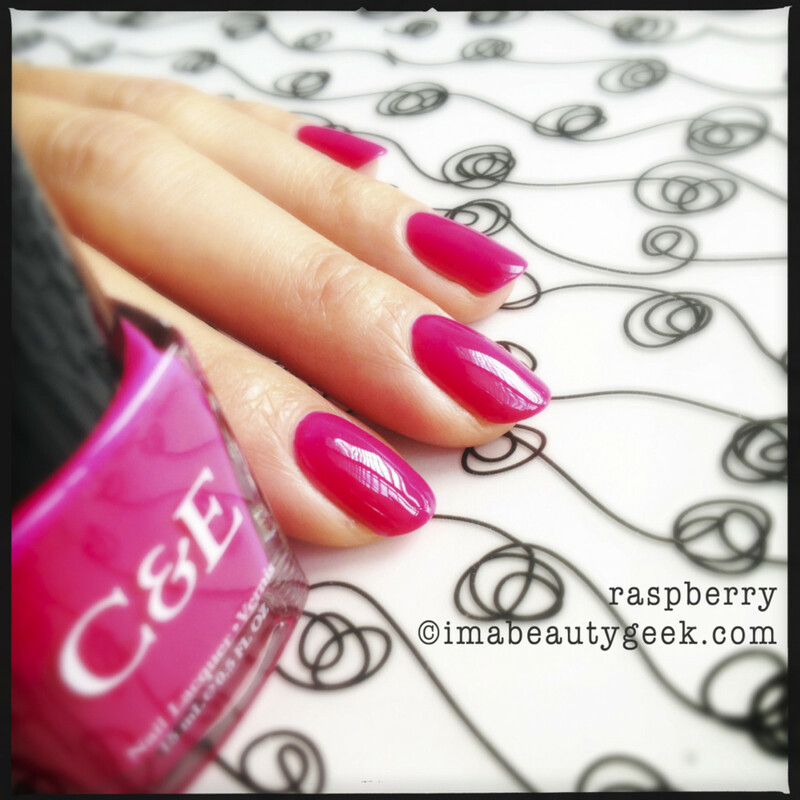 Crabtree & Evelyn polish Raspberry No, it’s not this bright unless you’re looking at it in direct, bright sunlight like there was when I shot this. That’s two coats of perfection. 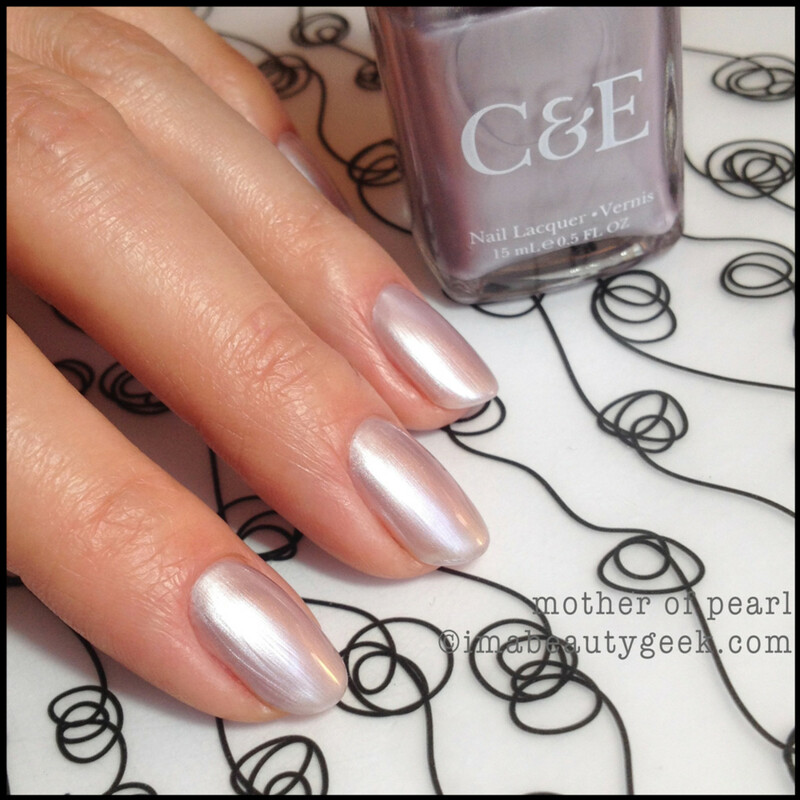 It’s an almost-crème that dries quickly to an awesome shine. But it’s still not that bright so don’t let my camera fool you. 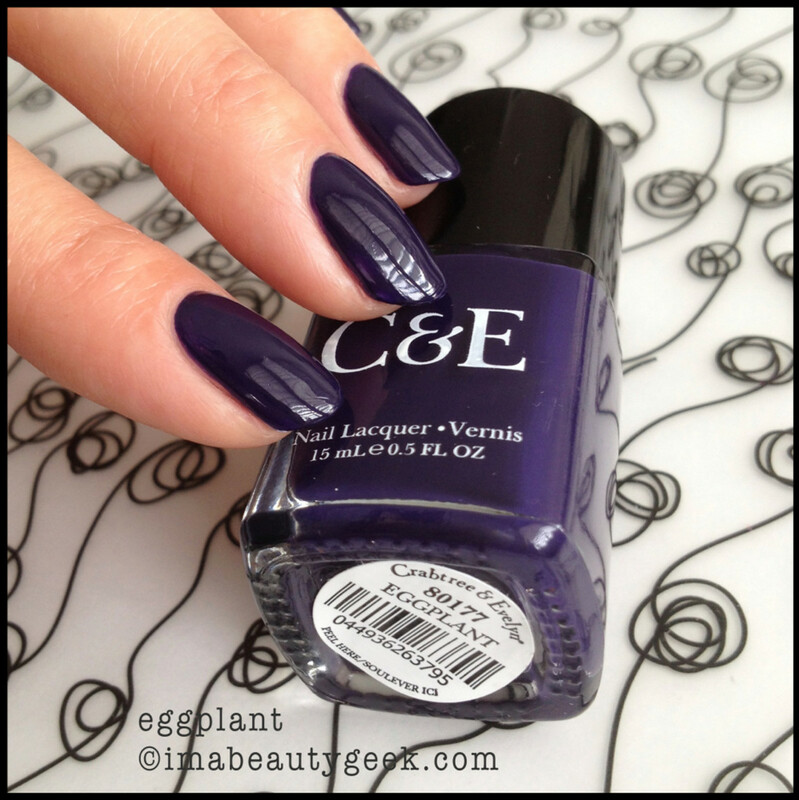 Crabtree & Evelyn polish Eggplant You know I adore a deep mysterious purple, right? Yeah, I kinda do. 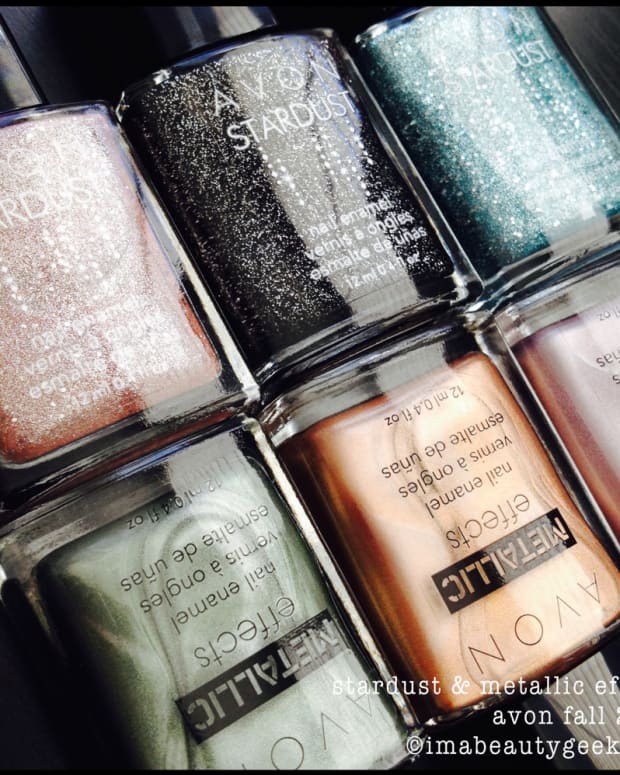 Apart from Opal (which I would more than likely use as a topcoat over stuff), none of the new additions really did it for me. While the shades are pretty, they’re still either not opaque enough for my liking or they’re streaky to apply. 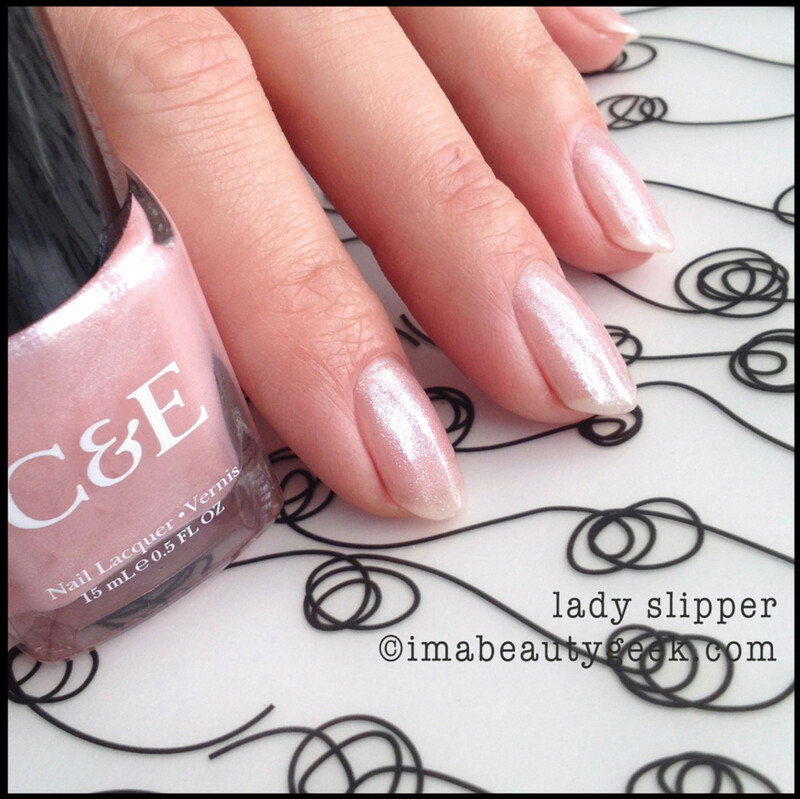 You know how I feel about streaky… The core collection though? Different story. I quite like the consistency, the self-level, and the shades – oh, so many shades and I only showed you six out of a lot. But that’s just me – what about you? Any of that grab you? If yes, you can head to your closest Crabtree & Evelyn and do a little shopping in-store or, you can head to crabtree & evelyn.ca and look at all the pretty stuff there. 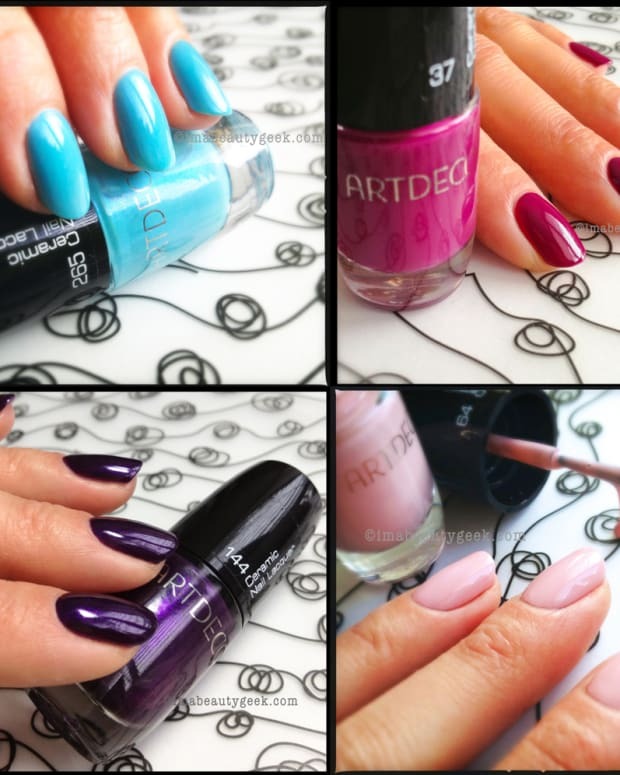 Nail lacquers are moderately priced at 2 for $10 or 3 for $12. So, going shopping now?